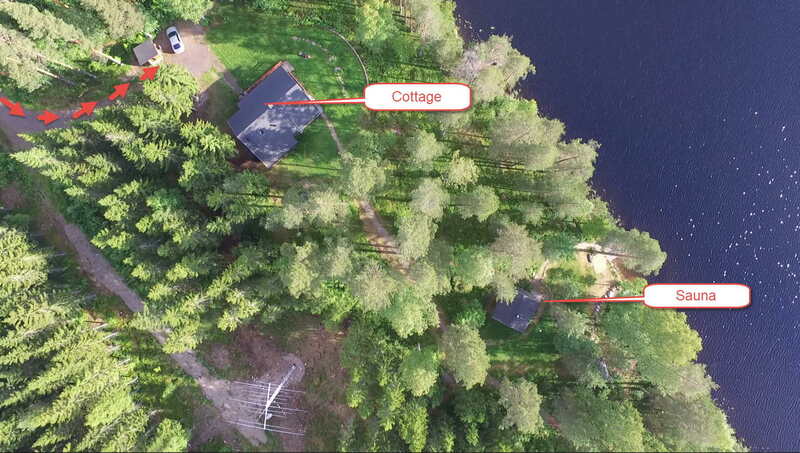 Radio Cottage is situated on a small island called Vuokalansaari. The island is connected with mainland by a bridge, which you can cross with any vehicle. Nearest village is Savonranta and nearest town is Savonlinna. Savonranta is part of Savonlinna. 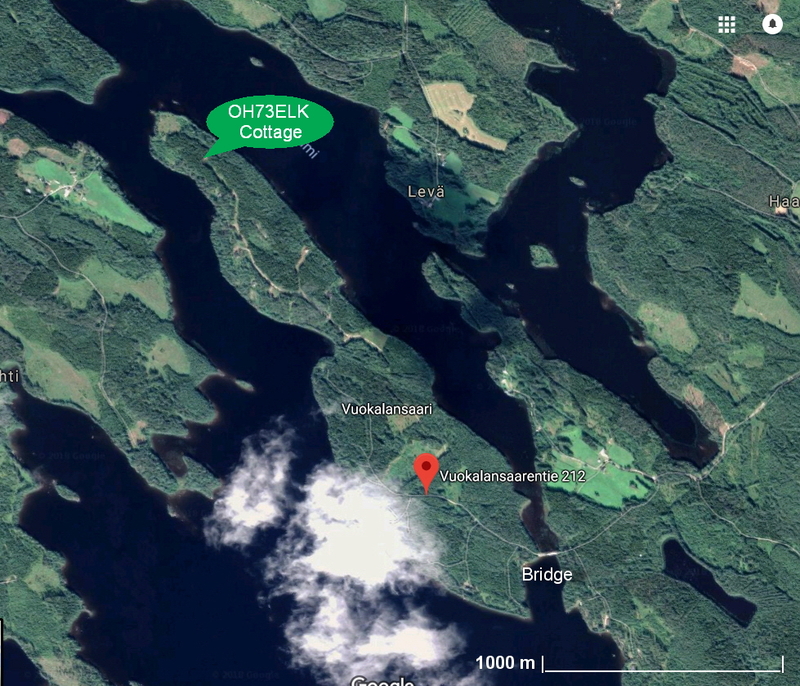 The distance between OH73ELK and Savonranta is 14 km and between OH73ELK and Savonlinna centre - 67 km. 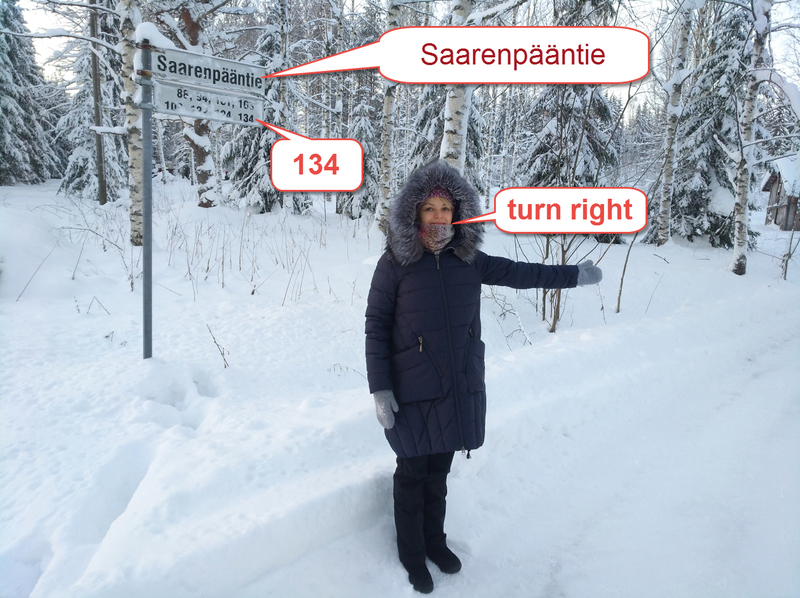 All these options at the end of the route go through the village Savonranta. Here you have to be careful not to miss the turn. However, if you already missed it, do not panic but make carefully a U turn in a suitable place and try again. There remains a distance of 5 km to drive in the forest. 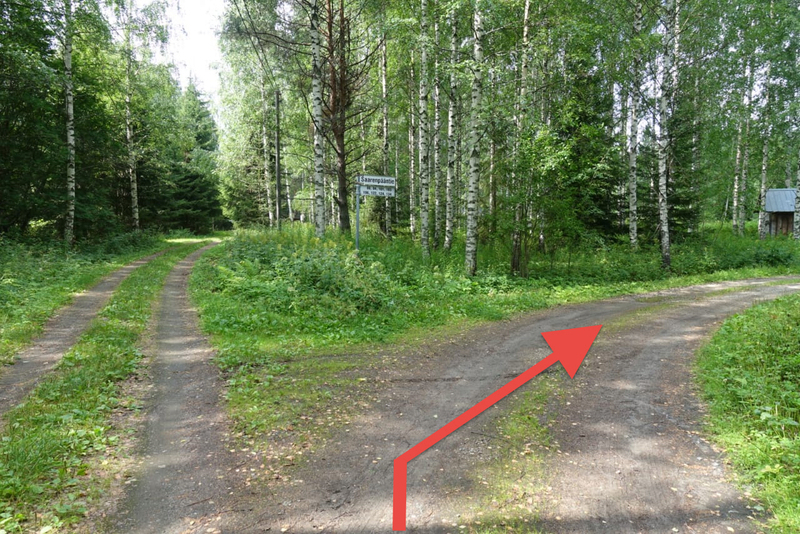 However, Saarenpääntie is a relatively new road and so far not shown in some maps (including Google Maps). 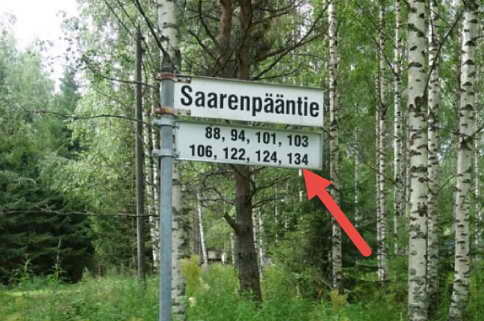 Here you have to go to the right to a new road called Saarenpääntie. This is the road that will take you to your final destination. You cannot miss it because the road ends right there! 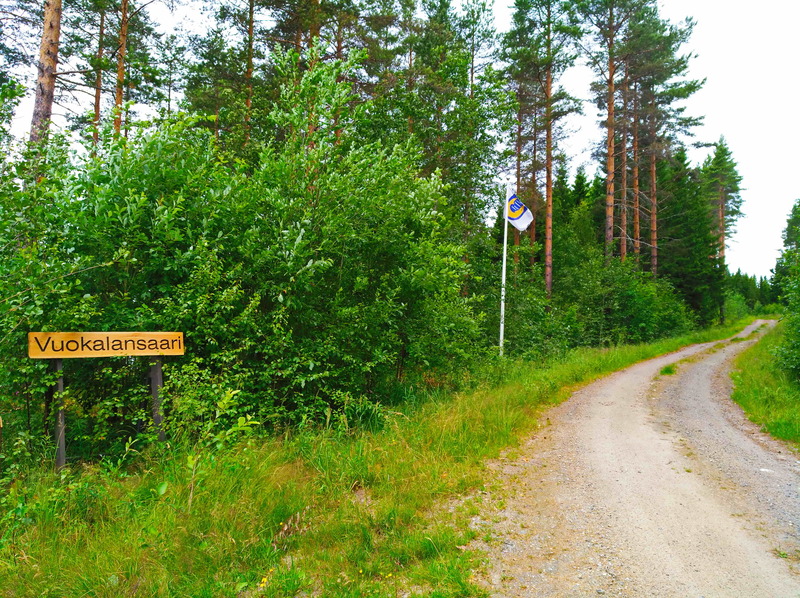 But as a pleasant surprise, about 700 m after the turn to Saarenpääntie this sign and the flag of our island greet you. Welcome to our Radio Island! Further you will drive by several cottages on both sides of the road. Radio Cottage OH73ELK is the last cottage all by itself in the tip of the island, where Saarenpääntie ends.